Kolkata, Feb 21 (IANS) ATK and Mumbai City FC have everything to play for as they chase a place among the top four in the Indian Super League (ISL) at the Vivekananda Yuba Bharati Krirangan here on Friday. Mumbai City are better placed with 27 points from 16 matches and will qualify with a win. ATK have 21 points and can touch fourth-placed Mumbai's tally but need too many things to go in their favour. Chiefly, though, they must secure all points against Mumbai. "It's very difficult to qualify but it is possible. We obviously cling on to that hope. If we were to win it, we would be within reach of Mumbai. We'd also have a better head to head against Mumbai if we win. You never know what would happen in football," ATK coach Steve Coppell said. The Kolkata side's playoff dreams have taken a big hit after a 2-2 draw against FC Pune City was followed by a comprehensive 0-3 loss to FC Goa. So precarious is the spot, that Coppell's men now find that even two wins out of two might not be enough to guarantee a playoff spot and they will still need plenty of other results to go their way to achieve that target. 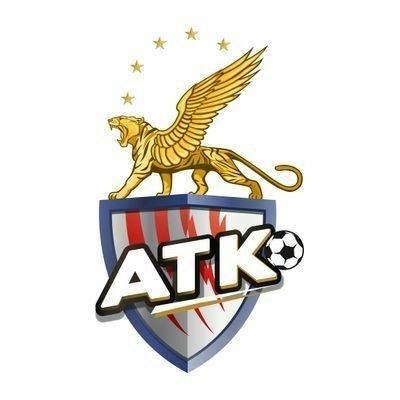 The home form for ATK has not been the greatest with one draw, three wins and as many losses to show in their seven outings so far. With both their remaining two league games set to take place in Kolkata, the hosts will have to capitalise on their home support and overturn that patchy form. For Mumbai, the equation remains simple. The Islanders can confirm their spot in the playoffs with a win but their current form will not inspire plenty of confidence. Jorge Costa's side were on a nine-match unbeaten run which included an impressive 1-0 win over Bengaluru FC but have since faced three losses on the trot. "The last three games we didn't play like we could. We had injuries and suspensions plague our form and we made a lot of mistakes. What we must look into is that we're making a lot of mistakes. But I still believe in this team, as before these three games we were going strong and winning games," said Costa. Unlike ATK, Mumbai's playoff hopes remain in their own hands with two games to play. Their final league clash is an unpredictable Maharashtra derby against a resurgent Pune City and the Islanders will want to book their final-four spot on Friday itself. But first they have to rediscover their scoring boots. In their three recent losses, Costa's men have failed to score a single goal and that will be the most worrying aspect for the Portuguese coach. ATK are still alive but Mumbai should fancy their chances of turning it around.